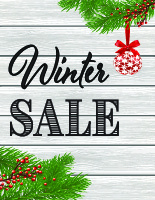 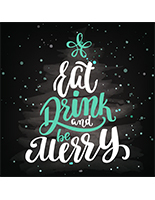 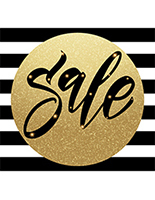 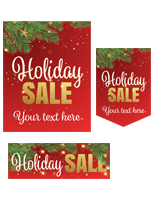 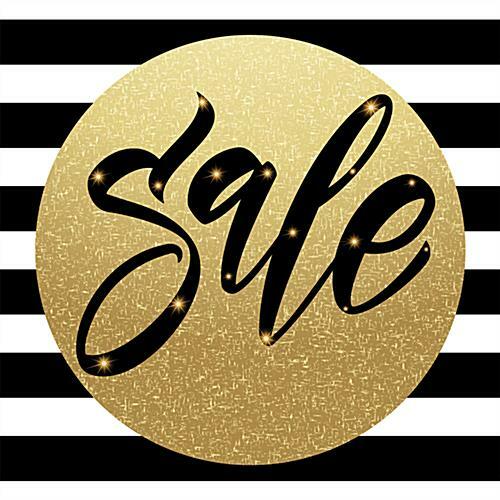 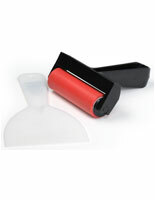 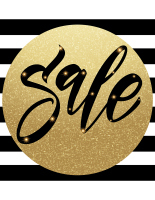 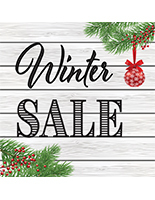 This holiday sale store floor sticker is made from durable vinyl with an easily removable adhesive that lasts up to three months. 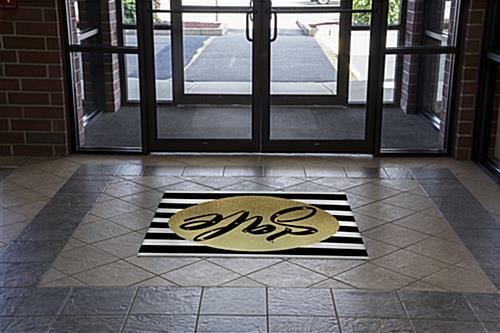 The large size and eye-catching design make this signage solution ideal for busy retail environments where directing attention can be a challenge. 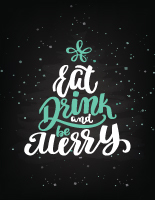 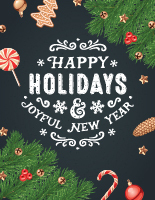 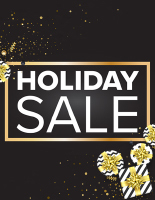 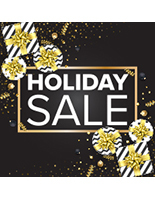 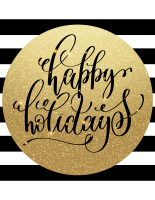 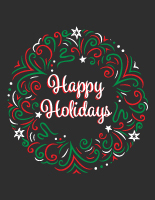 Help to guide customers to limited-time deals with this black & gold striped holiday store sticker - the non-traditional design makes it stand out while creating a festive atmosphere.